Imagine spending an entire day’s wages on a postcard. During WWI, some soldiers did just that. 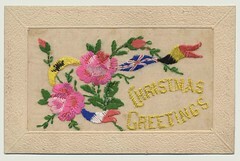 The Canadian War Museum has a collection of embroidered postcards sent by soldiers during WWI. In a new article, the museum’s Research Centre highlights a few Christmas postcards from its collection. 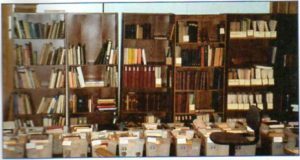 The APRL has many more books and catalogs to assist the postcard collector. Go to our Online Catalogue and search for “post cards” in the Subject field and “book” to the Record Type field. You can also add a keyword (for example, a country or topic) to the Any Word field to narrow your search. Neil Coker joined the staff of the APRL today as our new Reference Assistant. Prior to coming to Bellefonte, Neil lived in St. Louis and worked for Regency-Superior as an auction manager and lot describer. 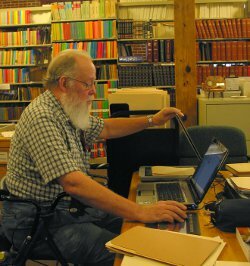 In addition to his philatelic knowledge, Neil has a degree in geography and Soviet studies, and experience maintaining a reference library. Neil will provide reference assistance, copies or scans of articles, and book loans. Recently, a library patron sent me a link to Rabbis on Stamps, a collection of images from the Leiman Library, a private collection of Judaica. This is a great resource for topical collectors from a non-philatelic source. 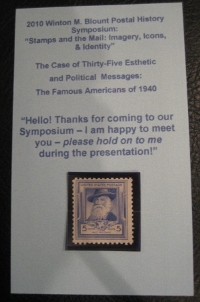 The Leiman Library’s home page gives an introduction to the Rabbis on Stamps collection. Library patrons who search the APRL Online Catalog for “Judaica” will now find this online resource listed, in addition to books and journal articles. You may have heard about the construction underway at the American Philatelic Center in Bellefonte, or even seen photos of the construction on the APS website. 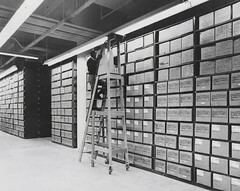 Some of the activity is in a building currently used for the APRL annex, which houses our archives, excess material, and infrequently used items. A portion of the space in this building will be used for the stairwell and restrooms for the Match Factory’s newest tenant, Graymont. All of the library’s collections are safe during construction. 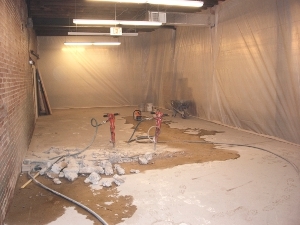 Library staff moved items away from the construction area, and the contractor has installed plastic sheeting, as you can see in the photo. We will continue to have access to the library annex during and after construction. The other piece of the construction project is install new roofs on two buildings that will eventually be the library’s home.